I have a wallet-sized photograph from my childhood that I love. It’s a black and white picture of me with my neighborhood friends, taken on the grass in our neighborhood park. I am 10. Beside me is my older brother, as well as the photographer’s two boys and a few other neighborhood kids. There are 8 of us in total – a mix of mostly boys and two of us girls. We’re all standing with our arms dangling around each other’s shoulders. Our hair is messy. We are all grinning, except one boy who is stoically looking into the camera, arms crossed, trying hard not to smile. The youngest boy has his shirt off, and he’s goofily flexing his muscles like only a seven year old could. When I look at it, it brings me right back to that day, and to that grassy park where I spent so much of my time. It was a summer filled with rope swings over the local creek, countless hours jumping on my neighbor’s trampoline, and riding bikes aimlessly until the sun went down. We played hide-and-seek, using the entire neighborhood as fair game. You can’t tell in this black and white photo, but I remember it was towards the end of that summer, just before school started up again. Still hot, but not sweltering and the leaves on the trees were beginning to turn bright yellow. I love this picture. To someone else, it would mean nothing. We aren’t dressed very nice, we all look disheveled. But to me, it reminds me of one of the best childhood summers I ever had. And it’s the first photo that made me fall in love with the magic of photography. I believe that everyone should have a photograph that takes them back in time and sparks joy whenever they look at it. To me, that is the beauty of photography. It’s the magic that a single photograph can have. This is why we do what we do. Every November, I am jolted by the only meaningful signal that summer is no longer here in San Diego: Daylight Savings has ended and the sunset is now at 4:45pm. 4:45PM! The afternoon is hardly over by then, and the night seems to arrive waaaaay too early. We get use to it, eventually. And slowly, before we know it, it is March and the time change happens again, and with it, our sunset is pushed back to a respectable hour. But when planning a fall and winter wedding, we often forget how long the night can be. A 4 o’clock ceremony sounds perfect and allows for a 6pm dinner, which will have you dancing by 7:30. Plenty of time to visit with friends and family, dance to your favorite songs, and wrap up the evening by 10pm (a time when the majority of venues need the sound turned low). A 4pm ceremony during our late fall and winter months could mean you are taking pictures in the dark. 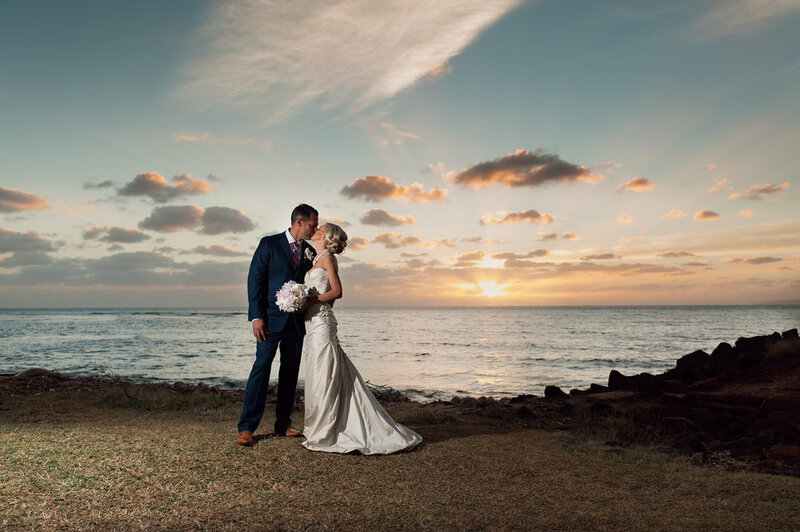 So be sure to take the sunset into consideration as you plan your ceremony time. Need help? We’d love to help you with our custom Ultimate Wedding Day Timeline so you get the most out of your wedding and don’t miss those important photographs that need the light of day. Ah, yes, that period of time just after the ceremony when the photographer asks all the closest relatives to gather together with the bride and groom for portraits. Its chaotic; guests are excited to get to cocktail hour and mingle with close family and friends. It can be tedious and feel like herding cats for everyone involved. But these formal portraits are so so important. And here are our top 3 reasons they shouldn’t be missed on your wedding day. 1. The people in these photographs matter. We often get asked by our brides and grooms who they should include in their formal portraits. Generally speaking, your closest relatives should be included. These are often the people that raised you, comforted you, and helped you become the person you are today. Additionally, these are the people that most likely helped you through the process of planning your wedding. What a gift to be in a portrait with them on your wedding day. Certainly, you can opt to have other important people join in these portraits. Just keep in mind that each group takes 2-3 minutes to photograph, and we only have about 25 minutes to complete the formal portraits. 2. 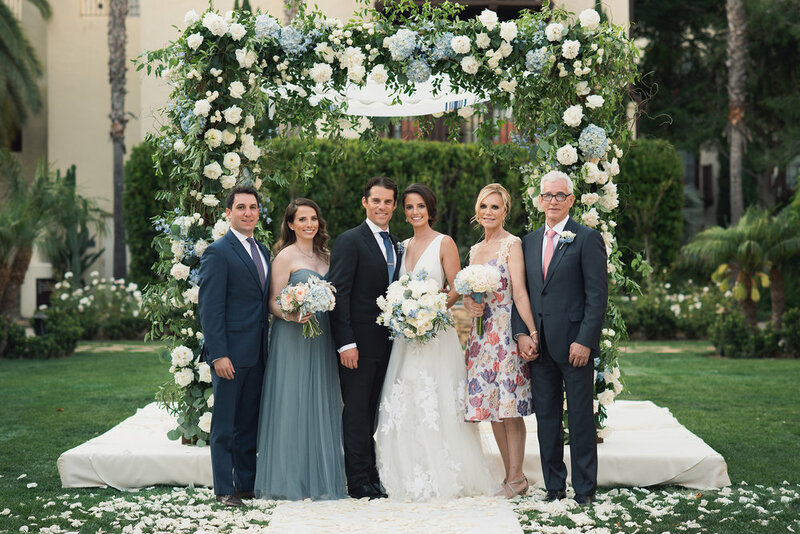 The formal group portraits make beautiful gifts for family members that attend your wedding, especially if you want to send them a thank you gift. 3. These photos document your family for future generations. Think about it. Years from now, your children (and your children’s children) will look at these photographs and see family members who are no longer with us. They will see family members when they were young. It’s a beautiful documentation of your family’s legacy all in a single, beautiful portrait that will be looked at for decades. Your hair is done, your make-up is perfect. It’s time to put on the dress. The dress. The moment when you officially become the bride. Meanwhile, all four of your bridesmaid’s suitcases have emptied all over the room, your maid of honor still has curlers in her hair and your mother in law is wearing only her undergarments. THIS is when you realize that this moment is no longer about the prewedding emotions you are feeling (mostly butterflies). It’s now about how you’re going to speed everyone along so that you make it to the altar on time. Which is why we began a conversation long ago with our brides and grooms about the dress. When it’s time to put on your dress, it’s one of our favorite moments of the day, and we never want it to feel rushed. This simple act of getting dressed for your wedding is a moment that should be remembered. You are with your closest friends and family, and you are preparing for an incredibly special day. Our goal is for you to savor this day. This moment. First, we talk to our couples about how long they should allow for getting ready. Everyone knows that hair and make-up can take up a lot of time. But getting into your dress takes time. Talk to your hair and make-up team and schedule them to be done an extra 15-20 minutes before you need them to be. This way, if you need them to make any adjustments to your hair or make-up, you won’t feel too rushed. You’ll have time already buffered in. Have your wedding party and anyone else in the room with you be dressed by the time your hair and make-up is done. Secondly, stay organized. Choose a well-lit area of the room (preferably near a window) and keep it clutter free. This will be the space you reserve to put your wedding dress on. It will already be clean, with beautiful light so we can all focus on you. Then, as you step into your dress, you wont feel rushed. You can live in the moment and we can capture the gorgeous photos you and your dress deserve. We were at the Temecula Creek Inn, photographing a groom getting ready. He was nervous. And he couldn’t get his tie right. After asking his best man to help him, his father casually walked into the room, adjusting his own tie. Living in southern California, I see this scenario fairly often. No shame. Wearing ties daily just isn’t as common here as it use to be. But the truth is, it made for a really sweet moment. The groom’s father walked over, and without skipping a beat, he adjusted his son’s tie in the mirror and for just a brief moment they locked eyes. I always say how much I love these little snippets. They are little glimpses that we see and experience between people. They are the small nods to great relationships, inside jokes, or a simple dad’s got your back kind of moment. We live for these little moments. We love to capture these moments. This is life. Welcome to our blog! Here you’ll find wedding tips, real moments captured from weddings, and our stories about why we do what we do.